So you’re interested in making money by giving your opinion and hearing your thoughts taking paid surveys with VIP Voice? This site promises the full VIP treatment with chances to win vacations and gift cards, but can you really win, is is this just hype designed to lure you in? Is VIP Voice a scam or not? This is what we’ll look at in this VIP Voice review. Oh and just so you know, I’m not an affiliate of VIP Voice so rest assured this review is 100% my opinion and I just say what I see. VIPVoice.com is a ‘paid’ survey site that says you can get rewarded simply by giving your opinion through surveys to companies that need consumer feedback. The site says you can earn points that you can use to enter sweepstakes and online auctions. If you take surveys with VIP Voice you don’t get paid; you merely earn points you can spend on entering competitions where you have a tiny chance of winning. If you’re looking for a way to make money by answering easy survey questions I don’t think you’ll like VIP Voice. They show images of the prizes you ‘could’ win as a way to entice you into investing your time in giving them your personal information but in reality you have no way of earning any real money and I’d say your chances of winning these prizes are highly unlikely at best. Here’s VIP Voice explaining their rewards system, as you’ll see, you need a heck of a lot of points just to enter a sweepstake or to bid on an item – just bidding means you’re losing points. This is not a viable way to make money online, not as a side income, not part-time, not full-time, not any time. Most survey sites pay you less than $1 an hour which is at least something – VIP Voice is paying you nothing. You’re effectively working for free. I would definitely not recommend investing your time and energy with VIP Voice. You’ll spend hours filling out surveys with nothing at all to show for it. You’d be far better off going with more reputable survey sites that actually pay you, like Swagbucks. After reviewing hundreds of paid survey sites, I can honestly say Swagbucks is the best I’ve come across. They’re 100% free to join and they have multiple ways you can earn money that actually ends up in your bank account. If taking paid surveys is your thing, join Swagbucks because I genuinely think they’re the best out there. Dangle a big juicy carrot in front of people by telling them they have an opportunity of winning a sweepstake and they’ll work for hours for free just for the ‘chance’ of winning it big. You tell VIP Voice all about your circumstances, how you spend your money and make buying decisions, give them all your personal details and they sell this valuable info on to their partnering companies making a boatload of cash in the process. Wouldn’t it be nice if they passed on some of this to you? Unfortunately they’ve chosen not to. With over 3 million members, VIP Voice can not give you any idea of how much you can expect to earn because they don’t pay out at all. What about your chances of winning? They say the odds of winning depends on how many other people have entered, but let’s just say the odds are against you. This is by far my biggest gripe with VIP Voice – the fact they don’t even pay out. Most people looking for a paid survey site actually expect to get paid, right? I mean, why can’t they just pay you $1-$2 per survey and keep it simple? It would be fairer too – you could browse the surveys, see how much you’ll get paid and how long it’ll take you and decide for yourself whether or not it’s worth it. Instead they’ve opted for a worthless points system that looks good on the surface but in reality has no substance. When they do this they’re only thinking about reducing their own outlay instead of what they should be doing, which is paying members for their time. The only thing you can do with your useless points is bid for overpriced items at an auction on their site Bidland, or gamble them away entering sweepstakes on their other site Sweepland. Sure, they say you could win a sofa or HD TV but there’s no guarantee. Obviously, VIP Voice is not for people who want put some extra pocket money to help pay the bills or help towards other household expenses. As playing a sweepstake is like playing a lottery, a game of luck, I was not shocked to find a lot of people who have never won a single thing, despite putting in hours and hours completing survey after survey. Some members claim they’ve been a member for 10 years and never won a thing. Others say it’s all fixed and the whole system is designed to make sure you are guaranteed NOT to win. But is VIP voice a real way to make money and is it worth it? If you’re the same as me you want to know what amount of time you need to put in and what you’ll get in return and with this site you don’t get that. I’ve read VIP Voice reviews where people have been active members for sometimes up to 7 or 8 years and have entered sweepstakes each and every month and never won a thing. How they kept going for so long I have no idea, but I would never waste my time on somethign where I’m getting nothing back. As I said before, the only people making money with VIP Voice is them and their partner companies and the more time you put into this, the more time you’ll waste. You’ll find tons of reviews online about VIP Voice on sites like SurveyPolice.com and not surprisingly, a vast majority of them like are from disgruntled members complaining about the very low chances of winning, the lack of rewards and saying it’s just not worth it. VIP Voice is just not worth it. Don’t be one of the hundreds of people who regret ever wasting any time on their bogus survey site. If you defintely want to go down the paid survey route then you should know not all survey sites are created equal and some are more worth your while than others. To find out more about my top-rated paid survey site click here. They’re 100% free to join, you actually get rewarded for your efforts with cash deposited in your account and they defintely pay out. If you’re looking for an alternative to filling out surveys then read my Wealthy Affiliate review. If you’re serious about building a legit income-generating online business for yourself then this is the place to do it. You’ll get access to the same free beginner’s training course that I went through that taught me everything I need to know about earning more than $6,000 per month online. This marks the end of my VIP Voice review and it’s where I hand it over to you. Have you had any experience with VIP Voice you’d like to share with us? Has anyone out there ever actually won anything? I’d love to hear from you. If you have any questions or comments, be sure to leave them in the comments below and I’ll always get back to you. – Is The Dollars Plug A Scam? – Mobrog Review: Is Mobrog a Scam, Legit Or Waste of Time? Well doesnt this sound like a huge waste of time. Personally I wouldnt waste time on survey sites. Not to say I havent used them but I guess I have graduated to bigger and better things. My wife does like survey sites. She leaves her computer on while doing things around the house. Its great when she comes smiling to me because her latest gift card just came in the mail. This was a great article. If you want to do survey sites thats cool but the people stay away from bad opportunities. Thanks for sharing Dale, get your wife over to Swagbucks – they seem to reward you more for your time than any other reward/survey site out there and yes, they do actually pay out. I have never trusted paid survey sites at all. You see people always excited thinking its real until you are not able to cash out or something goes wrong. Also most sites like this require you to refer a certain amount of people before they even let you cash out. I never do them, i only did once and i said no more because it was a waste of my time, good article. Thanks a lot Justin. After reviewing dozens of survey sites it’s clear me they fall into 2 categories: downright fraudulent or just a worthless waste of time that doesn’t pay. You’d be a lot better off using that time and energy to focus on building an income generating online business. Yes it takes hard work before you see a return but stick at it and you’ve got a full-time passive income. This free beginners course can show you how. I think this another way of stealing from unsuspecting people who have no idea someone is making tonnes of cash with them and they are not apologizing for all that scum infact they will keep looking for more to steal from imagine how many surveys I need to do to get 100k points. 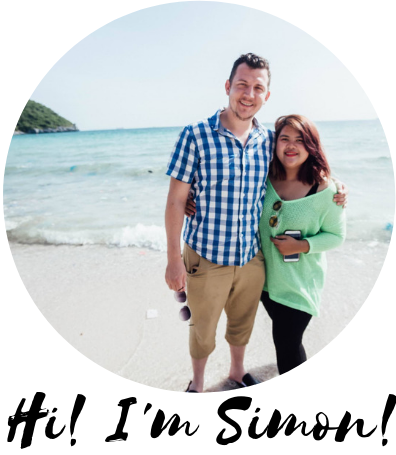 Thank you Simon for your blog ¨Is VIP Voice A Scam Or Not? VIP Voice Review 2019¨. I fully agree with you. VIP Voice is scam because I was ripped off. But then the larger question become, are paid surveys a legitimate way to make money- or are they scams? I personally been doing this for some time and my answer is that it depends on the survey and the company you are taking them for. Swagbucks, you mentioned it in your article, Earning Station and a few others you can find in Survey Police are good examples. Marketing research firms still do pay consumers to take in person surveys and to participate in focus groups. However the internet has granted them a more efficient way to collect data. So, many firms now conduct legitimate online paid surveys, virtual paid focus groups, and other types of paid online marketing research. But to be honest with you, if anybody is earning a living from online paid surveys, it´s definitely the middleman –site owners, not participating consumers. So, yes, there´s no better alternative than joining the Wealthy Affiliate. Thank you so much Enrique, I really appreciate your input. I find myself agreeing with you, the guy referring people to paid surveys is definitely making more while the people he referred spend hours over a laptop trying to earn an extra few bucks and getting nowhere fast.